The VIP-1 is a machine designed for moulding long loaves with regular and uniform shape from all types of wheaten dough. 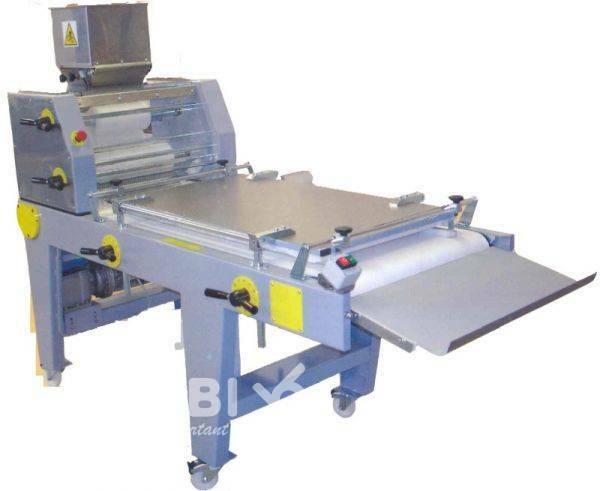 Its simple design and sturdy construction make this machine a perfect moulder for smaller and medium sized bakeries.  Quick, precise and simple setting of the centring flaps, rollers, board and lateral guides.  The machine is movable on castors.  The rollers are made of a special material preventing the dough from sticking.  The main mechanical components are easily accessible facilitating their cleaning and maintenance.  Its sturdy construction ensures the machine a long lifespan.